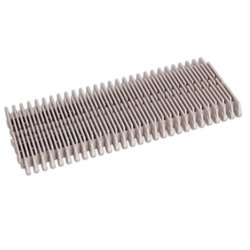 Prominent & Leading Manufacturer from Coimbatore, we offer straight pitch belting, 400 series modular belts, raised top 5997 modular belts, raised top 4809 modular belts, series 500 modular belts and 1100 series modular belt. **NOTE : Pls see the attachment for more details.. These Straight Line Belts are suitable for conveying applications of fruit and vegetable, processing meat, fish and seafood processing, bakery and snack food, packed juices and beverages, bucket elevators for rice, pulses and granular products as well as for various dip tank applications. 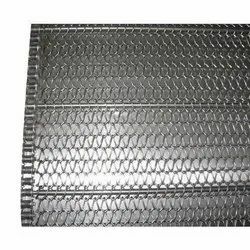 Our product range includes: steel conveyor belt, cleated conveyor belt, plastic conveyor belt, pvc conveyor belt, stainless steel conveyor belt etc. Raised Top 5997 Modular Belts: These Straight Line Belts are suitable for conveying applications of fruit and vegetable, processing meat, fish and seafood processing, bakery and snack food, packed juices and beverages, bucket elevators for rice, pulses and granular products as well as for various dip tank applications. Our product range includes: steel conveyor belt, cleated conveyor belt, plastic conveyor belt, pvc conveyor belt, stainless steel conveyor belt etc.. Note : Please see the attachment for more details. These Straight Line Belts are suitable for conveying applications of Fruit and vegetable, processing meat, fish and seafood processing, bakery and snack food, packed juices and beverages, bucket elevators for rice, pulses and granular products as well as for various dip tank applications. Stainless steel conveyor belt etc. 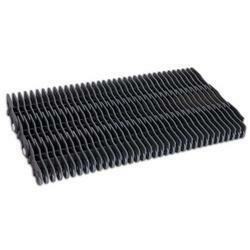 The Rubber Top Plastic Modular Belts are used in an incline conveyor applications and in food industries. With an extended belt life, the efficiency of your operations is increased. 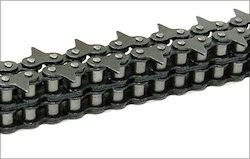 Roller top chains for application involving demanding loads and high temperatures where plastic chains cannot meet the conveyor demands. 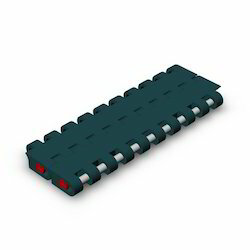 Modular Flush Grid Belts conveyor is ideal for the transportation of the pallets, drums, boxes, and fragile products which deserves more attention on it while conveying. It has unique and trendy design and portable too. 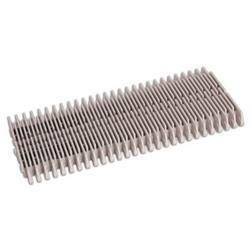 This can be manufactured in the variety of sizes according to the requirement. 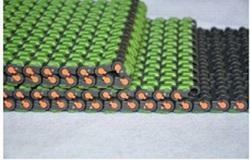 The product transportation in the modular flush grid belt conveyor will be smooth and the speed can be varied accordingly. 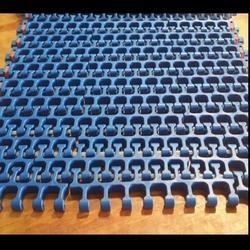 We are an eminent organization which deals in offering Side Flex Modular Belt to our clients. There is an exclusive range of this Side Flex Modular Belt available with us. 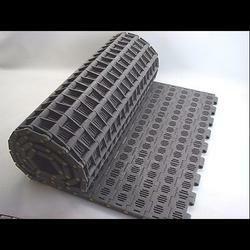 Our offered range of this Side Flex Modular Belt is based on modular design and has long shelf life. 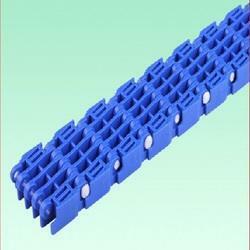 This Side Flex Modular Belt can be availed in both customized and general specifications. The quality controllers have thoroughly examined entire range to ensure that this is free from defects. 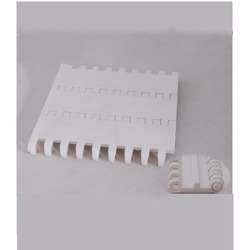 Being one of the trusted organizations in the market, we are engaged in providing a wide range of Rib Top Modular Belts to our clients. 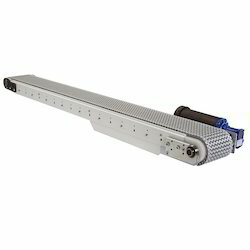 Cleated belt conveyor provides many purposes in today's manufacturing environment. They are used to help move product up inclines, as well as stage product to operators or to provide predictable spacing on a line. With five standard conveyors that can have cleats attached to them make is sure to have the right conveyor for your application. 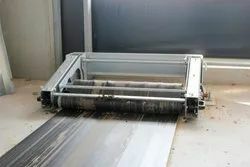 Don't see what you are looking for there - then check out the custom conveyor section. 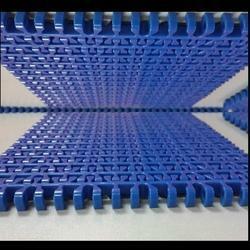 Mat Top Belt Conveyor utilizes hinged plastic belting as the conveying surface. The Belt is supported from a Box Channel Slider Bed with UHMW Wear/Guide Strips mounted to it. 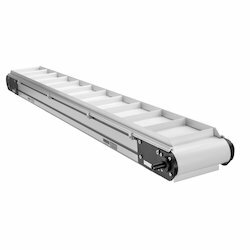 This conveyor is generally used to convey cases, containers, bottles, or pallet loads in environments that require some corrosion resistance. 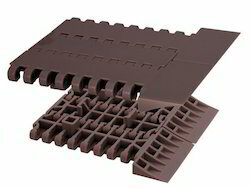 Cap Elevator Belts is basically a cleated belt conveyor erected at an angle for loading of caps into the Hopper bowl to ensure automatic nonstop operation of capping machine. Caps are first fed in bulk quantity in the hopper in the machine. 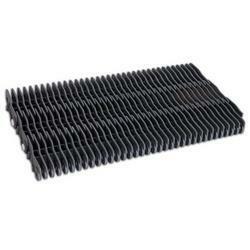 We are engaged in offering the finest quality OPB Modular Belts to our clients. 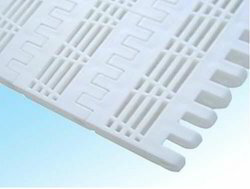 Blanching is an important industrial process within the food industry. 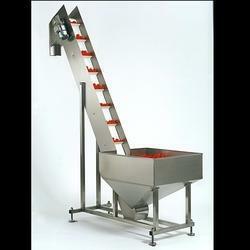 We provide one of the best solutions for fruit and vegetable blanching conveyors. Modular flights can ve placed within its sections which is used for sorting processes. 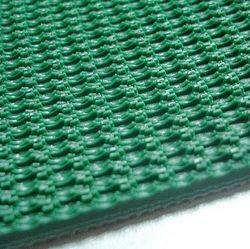 Our blanching belts unique design features make it more durable and easier to maintain. 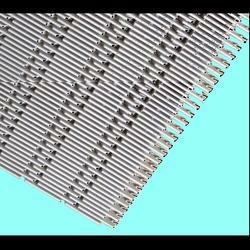 With the valuable assistance of skilled team of professionals, we are engaged in offering an extensive range of high-quality Wire Mesh Conveyor Belt. 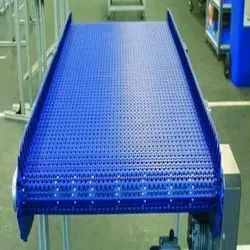 With the valuable assistance of skilled team of professionals, we are engaged in offering an extensive range of high-quality Modular Conveyors. We are deal in this Poultry Manure Belt. Looking for Modular Belt ?